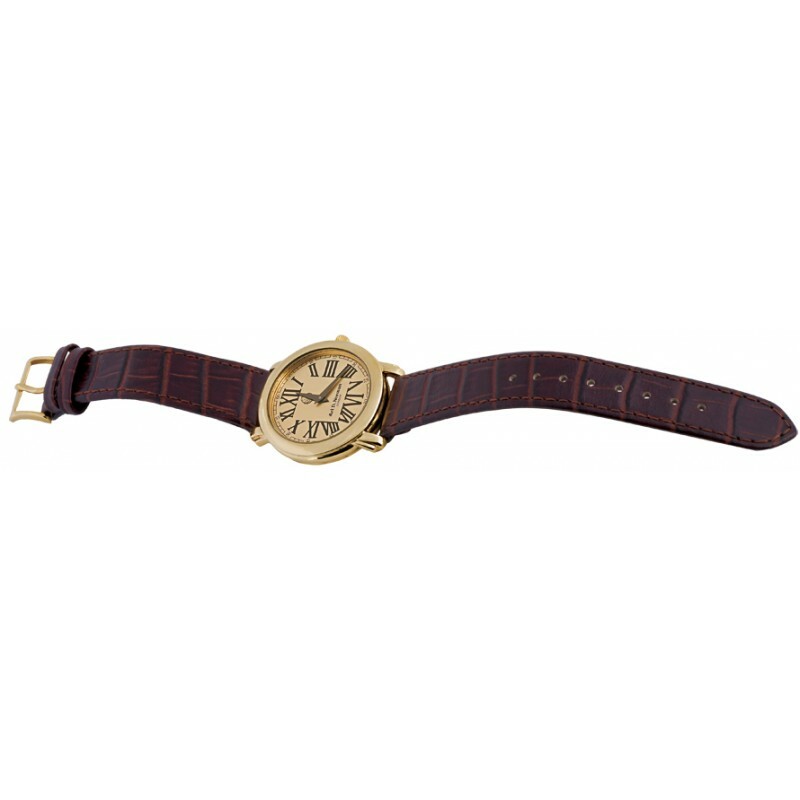 Our gold plated unisex watch is made from sterling silver and has a leather strap and gold plated buckle. 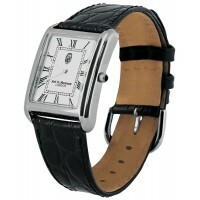 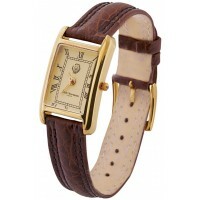 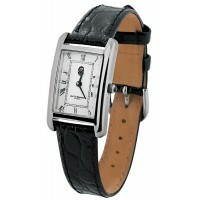 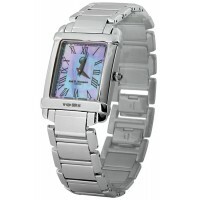 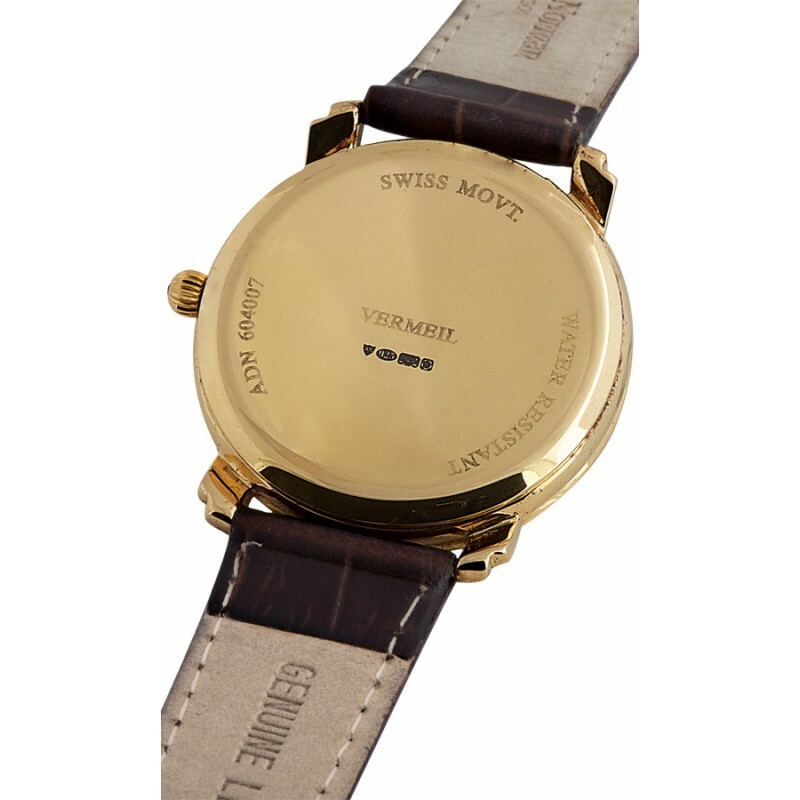 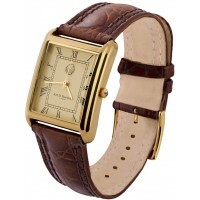 This watch has Swiss movement and has a water resistant case with Roman numerals on the watch face. 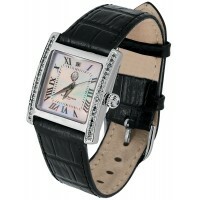 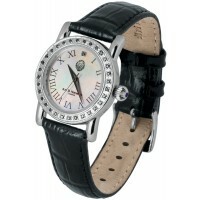 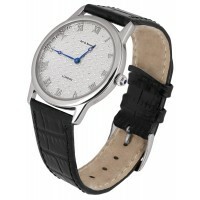 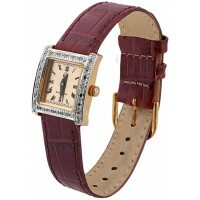 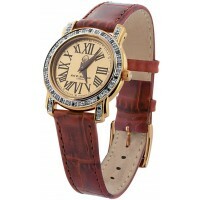 Complete with black hands and a sapphire winder, this round faced watch has a premium leather strap. 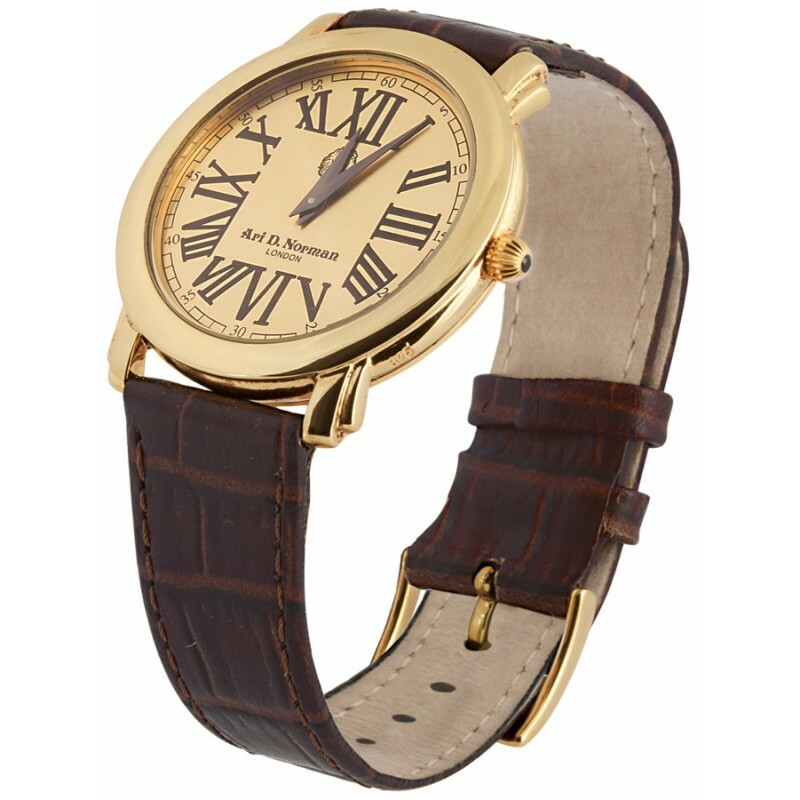 Made in Britain, here at Ari D. Norman, we ensure that all products are expertly finished to create premium gifts that last a lifetime.